Last week, a 46-year old man was walking his dog at the intersection of State Road 16 and County Road 208 in St. Augustine, Florida, when he was hit by a truck. According to a report by Jacksonville.com, the man was walking north in the eastbound lanes of State Road 16 at around 9 p.m. when the truck came along. Unfortunately, the man was not using a crosswalk to cross the street. The pedestrian was rushed to Baptist Medical Center South, where he was pronounced dead. The driver of the car was wearing a seatbelt and did not suffer any injuries. When an automobile collides with a pedestrian, it is not hard to imagine who is going to fare worse. Cars weigh thousands of pounds and often send the unwary pedestrian flying into the air upon collision. In recent years, the number of pedestrian deaths has increased. For example in 2011, there were more than 4,400 pedestrians killed in traffic accidents. Most victims were male (65%) and a large portion were children under the age of 14 (15%). For the past three years, Jacksonville has ranked as one of the worst cities in which to be a pedestrian. – Wear bright clothing: The brighter the clothes, the better the chance that drivers will be able to see you while you are on the road, especially when it is dark outside. – Stay on sidewalks: If sidewalks are provided, be sure to use them. Consider whether a route has sidewalks before you begin your journey and try to walk on roads with well maintained, safe sidewalks. – Walk during daylight hours: This might not always be possible, but to the extent you can, walk during the day. If it gets dark during your walk, consider using public transportation to get back home. – Assume cars do not see you: If you assume that the car does not see you, then you are in a better position to get out of the way in situations where a driver really does not see you. Drivers are not usually looking for pedestrians, especially on busy roads. Do not ever get in the way of a car assuming a driver will see you and will stop. – Only cross at marked crosswalks: This should go without saying. Drivers do not expect to see pedestrians crossing the street where they are not supposed to cross. Doing so only increases your chances of getting struck by an inattentive driver. No matter what precautions walkers may take, sometimes drivers are negligent. Because of that fact, sometimes there is nothing a pedestrian can do to avoid an accident. In such cases, the law provides a means of recovery for these victims. 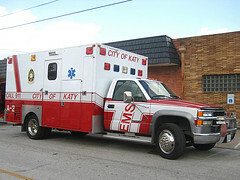 Injured in a Pedestrian-Auto Accident? If you or a loved one has been injured in a pedestrian-auto accident, you may be entitled to monetary damages. To find out what your rights are and what steps to take, contact an experienced Jacksonville accident attorney to discuss the facts of your case. Click here, or call (904) 632-0077 to schedule your free initial consultation today.